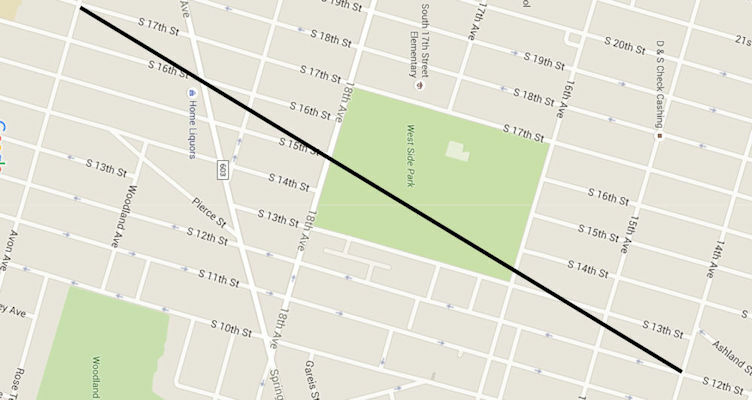 Wolf's Harbor ran from about Fourteenth Avenue and Twelfth Street to Avon Avenue and Seventeenth Street. It got it's name from the numerous wolves that hid in the marsh. They survived there longer than any other place in Newark. After the last of the wolves was gone, the area was given the name Magnolia Swamp (named for the abundance of Magnolia trees. The area then became a public dumping ground and by 1872 the swamp appeared to be as solid as the surrounding land. In this year a contract was awarded to Edward Keogh for the grading of South Fourteenth Street from South Orange Avenue to Avon Avenue. This new grading would run directly through the center of the "swamp". When Keogh's men attempted to fill the former boggy section, trouble began. It took over a year for them to fill the section in, the fill dirt keep sinking and sinking. A job that called for 26,000 cubic yards of fill, took many times more than that. Edward Keogh was said to have buried his entire fortune in the bog in the form of fill dirt (the city only paid him for 38,000 cubic yards). Because of this the area then became known as Keogh's Hole. In 1904, the city of Newark found it necessary to construct a sewer in South Fourteenth street from Springfield Avenue to Eighteenth Avenue. City engineers recommended that the sewer be built on a pile foundation. In 1906, Fifteenth Street was paved but no sooner had the work been completed than the whole street began to slowly settle, except for the catch basins which were built on the pile foundations.